January is one of the best times for students to set goals, not just because of the tradition of setting New Year’s resolutions, but because January offers a fresh start after students have had at least a couple weeks of Winter Break to reflect on the first semester. That being said, if you haven’t had a chance to reflect, I recommend that you do that before you set any goals. Now it’s easy for many people to set goals, however after a few weeks it is not so uncommon to get off-track of working towards them. This could be due to a number of different factors such as setting too lofty of a goal. This is where SMART goals come in. 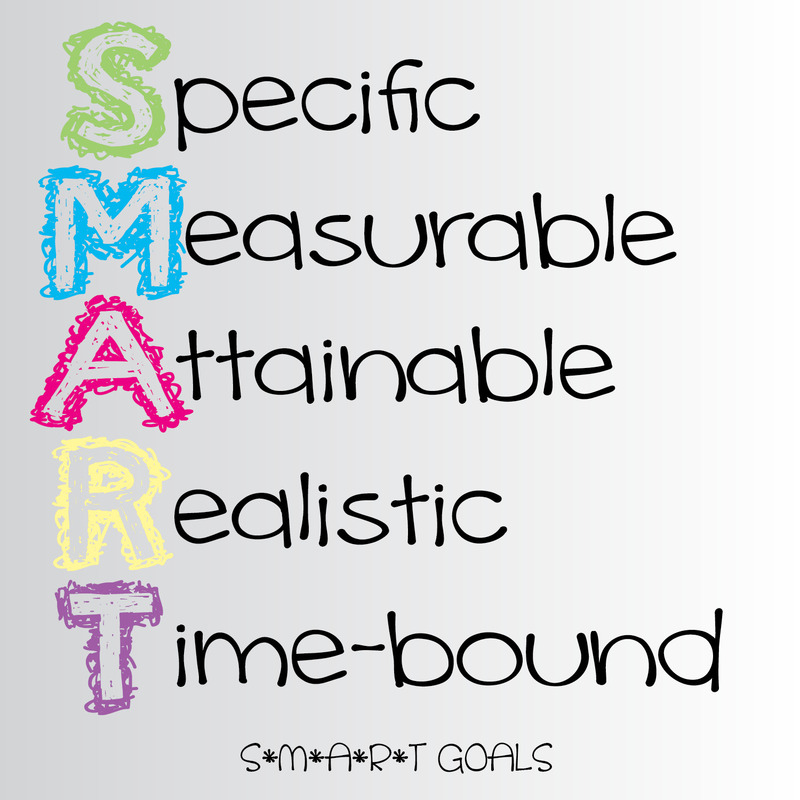 SMART goals are specifically designed to be well thought about before you start working hard at change. Read on to learn more! In order to set a SMART goal, the first step is making sure that your goal is specific. If you would like to become healthier, you might not have much success if you set a goal as simple as “I will become healthier”. Instead, think about what areas you could improve on. Maybe your specific goal is cutting out sugary drinks like pop, or making sure to work out at least three times a week. Another tip to be specific is to focus on the six W’s – who, what, where, when, which and why! In order to be successful at achieving your goal, you need to ensure that there is a measurable quality. In the last example I specified working out three times a week. Stating ‘three times a week’ allows you to measure if you are hitting your target or if you need to adjust your goal. If you consistently only workout once a week, your goal likely needs to be adjusted. Make sure to pick a goal that suits you. If you love eating sweet treats and your goal is to not eat them at all, you’re practically setting yourself up for failure. However if you instead set a goal to not bring treats home you will likely have more success. This is also more reasonable because it encourages you to practice moderation. You won’t eat as many sweet treats if you don’t stock them in your cupboards, but you still have the opportunity to enjoy them if you are out and about or spending time with friends! This can apply to other goals as well. You know how you work best, right? The key to setting a realistic goal is to make sure that it’s not too far out of your capabilities. You don’t lose your motivation. This also links back to the attainability… if you have a really lofty goal that you want to achieve, make it more realistic by breaking it up into smaller goals! For example, if you want to work towards achieving a GPA of 8 you will need to set reasonable semester goals based on your starting GPA. Just like the other points I’ve discussed, setting a time-frame to achieve your goal can make a world of difference to your success. It is also extremely important that this time frame is realistic. If you want to increase your fitness level, you should do a little research first so that set healthy benchmarks and timeframes. If your goal is academic related, spend time thinking about your past behaviours. Habits can be formed within three weeks, however for bigger goals you might need a minimum of six months to a year to accomplish. Be honest with yourself as it is better to achieve a realistic goal that is more spaced out than to fail to meet a goal because you didn’t give yourself enough time. Whatever your goal, gain the advice of a support person or professional. The University has professionals to help you get out of your rut and help you realize your success – whether fitness-related, academic or others. Now that you know how to set SMART goals, what are you goals for the year ahead? Make sure to comment below!